This article was originally published in the May/June 2017 issue of Zymurgy. 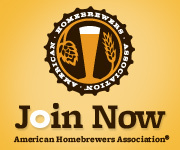 Subscribe to the AHA - support homebrewing and the podcast! Remember when we boil hops most of our goal is to dissolved the hop’s alpha acid and convert it via isomerization to a compound that is both bitter and dissolves in an aqueous solution like wort – aka iso-alpha acid compounds. Measuring the precise level of iso-alpha in a beer would be a daunting, expensive and time consuming process for most breweries, let alone a homebrewer. As beer scientists tried to increasingly bring numbers into the brew game, they worked to create a cheaper, easier and faster way to get into the bitterness ballpark. After hashing through several different approaches to an IBU assay in the 1950’s, the American Society of Brewing Chemists in 1968 formally adopted a test that centers on a relatively inexpensive set of reagents and a spectrophotometer to determine the IBU level of a beer. Well, except it doesn’t. What the test really does is measure the absorption of light at 275nm wavelength when passed through a carefully prepared sample. 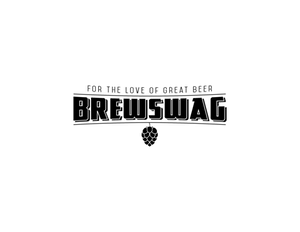 This does largely correlate with the amount of iso-alpha, but there are a number of other things that cause that absorption to swing around, including everyone’s favorite – dry hopping. While we’re at it – the iso-alphas aren’t the only compound causing an organoleptic sensation of bitterness, so the IBU, even when put into a ratio against gravity (like the famous BU:GU ratio) is an incomplete picture of just how bitter a beer really is. But it’s what we got and what we know how to use. You ever notice that you never see anyone doing the math to calculate the IBUs on the fly? Here’s why – Glenn Tinseth’s equations, which are the defacto current standard, depend on three things: hop boil time, wort gravity and the amount of potentially available alpha acids. So there you go – just grab a scratch piece of paper and do that for each of your 30 hop additions in your DIPA. There’s a reason we let the computers do this. The formula naturally has some shortcomings. Wort gravity is treated as a constant and not an increasing factor over the time of the boil. Ok, we’ve established what the IBU actually is and how the standard formula works. Now how do we go about figuring out just how closely it correlates with the messiness of the real world and slews of different brewers and different processes? We wanted more than 1 or 2 samples and we wanted more than one beer style. After all, gravity is a factor in this and back when Glenn was developing the formulas massive gravity hops bombs weren’t as prevalent as they are today. Seriously, half the US hop crop must going into the IPA/DIPA’s we drink/make. We suspected we’d see more variance the higher in gravity we went. 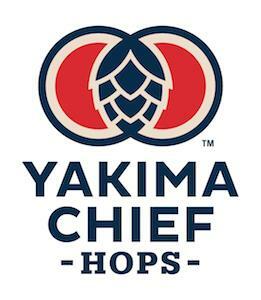 We started with the hops – one of our podcast sponsors - Niko Lukoff - graciously donated Cascade, Centennial and Columbus from the same lots to our brewers. Even more awesomely and the reason this experiment is extra interesting, Niko sent the hops to YCHHops (ychhops.com)for analysis so we’d know the precise alpha acid content before our brewers brewed. This was absolutely necessary to make sure all of our brewers were starting at an even base line. IGOR volunteers signed up to brew (30 batches in total) and hops were shipped to each participant. 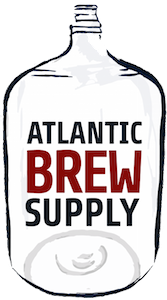 IGORs were asked to brew our Basic Pale Ale, Basic IPA or Basic DIPA recipes. Each IGOR indicated ahead of time, which styles they were doing. The recipes were all designed around a classic American standard malt bill: Domestic 2-row, a little light Munich and a tiny amount of Crystal 60L for color. The DIPA also received a boost of sugar to hold true to its foundations. The hop additions were scaled with gravity, but the timing and varieties remained the same. 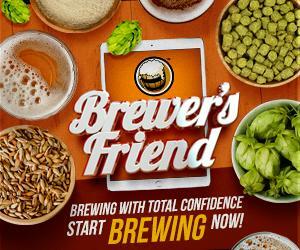 You’ll note that the recipes specify an optional dry hop. IGORs were asked to not dry hop the beer – at least until after they had packaged the beer for evaluation. After brewing as they normally would do, they bottled samples – 3 bottles each and shipped them to Denny in Oregon. Denny shipped bottles to Drew for hedonistic testing (aka “drink this and rank it”) and took bottles to Dana Garves of Oregon Brew Lab (oregonbrewlab.com) for analysis. Dana discounted her services to us, but she’ll do analysis of your beers for the low price of $15-35 depending on what you need. Out of the 30 batches volunteered, we had 22 batches shipped to Oregon. That’s a 73% return – which for a volunteer effort is amazing. 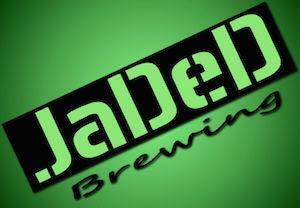 All told we received 8 Pale Ales, 7 IPAs and 7 DIPAs for testing. Remember the IBU only tells part of the story of our perception of bitterness. Knowing that, it’s important to get our tastebuds on the ground as well. While Dana and Denny made with the chemistry, Drew made with the beer drinking tasting. At a Maltose Falcons meeting, Drew rounded up three teams of three tasters. Each team received all the samples of a style. They were asked to rank each beer in order of preference and also in perceived bitterness. What we were hoping to see was a clear correlation between the IBU’s and the perceived bitterness but the data appears to be muddled enough that we can’t see a clear inference to make. One piece to take away - more bitter beers were generally preferred by the tasters. Dana performed the standard ASBC assay on the sample beers and we’ve included the results below. The test involves mixing 10 mL of beer with a little bit of hydrochloric acid and iso-octane. The solution is agitated vigorously until it separates into 2-3 phases. The 275nm absorption of the distinct clear phase at the top of the sample is compared to pure iso-octane. That comparison gives you the official IBU number. In all the test takes 15 minutes. But what about the remaining 345 ml of beer? Well, Dana is also trained in sensory analysis and tasted each tested beer and gave her perceived IBU levels. It’s amazing to see how close she was on most of the samples, but the ones that she missed on showed a similar pattern with the relatively untrained hedonistic judges. Perhaps these skews were due to water chemistry or other perceptual booster. As we look through the numbers from our experiment, it’s fair to say that the place where the formulas held “truest” to the reality on the ground was in the APA’s. Both the Median and Mode of the sample set was spot on to the formula’s return. As we increase in gravity, the wobbliness we expected begins to emerge. The IPA is still close with the average being about 5 units below predicted. The DIPA though is a full 21 units (~28%) below the calculated value. It’s fair to share that some of the beers were clear outliers mostly shooting well below the calculation. The lowest values were off by between 36-42% of the calculated BU level. Six of the beers actually exceeded the calculated value, but that trend was clustered around the lower gravity APA (4 of the 6). Notice that none of the DIPA’s overshot the calculation. To better get a handle on our brewers’ performances, we interviewed them to try and discover a through line. Here’s the big takeaway – remember the foreshadowing a few pages back about process – we think the “undershoot” is due to today’s more rapid chilling procedures than were common during the formula’s development. 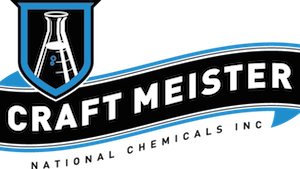 On the other hand, several of our under-bittered brewers revealed they have embraced the modern homebrew practice of chill hard, chill rapidly, get the wort cold yesterday. At least one brewer was also playing with a new electric rig that had a lower “boil” temp that possibly compounded the miss. (Denny doesn’t think this was the issue). So what’s the takeaway on this? Well, one is there’s probably more work to be done to figure out how the numbers change with different chilling regimes, kettle geometry and boil vigor. (Wort shear is the new enemy, maybe.) We also suspect in reading and talking that maybe gravity isn’t the only influencer, but also protein levels, although that would rear its head much more using whole hops than pellets – that’s another experiment though. But more practically, for us as we brew at home and fiddle with our software calculators – what do we do about the IBU? Here’s our recommendation – ignore the number as “concrete reality”. No calculation is ever going to be perfect for you. Unless you take the time to dial in your process, analyze your beers and create your own utilization curves, the number will always be a bit of a lie. Instead, treat the number as a squishy imprecise landmark that only has meaning for you. Learn what 15 IBUs, 30 IBUs, 50 IBUS, 70 IBUS from your favorite calculation means to your tastebuds when brewed on your equipment. Use those landmarks to hit what you want to taste. That’s the only value to the number, because frankly, the number itself is fairly taste-free. In talking with our lower IBU IGORs, they all agreed that for them, these beers were less bitter than they expected and that when they calculate they tend to shoot high for the style. Basically, they already do what we’re suggesting. Isn’t science grand? Go looking for a solid answer and instead we end up with a relativistic system. Heck we haven’t even tried to quantify and test the “Perceived IBU” that takes into account flavor impacting factors. Trub effects IBU's, fermentation effects IBU's, Fining effects IBU's....not surprising there is large variations....IBU's are accurate to a specific recipe, process, brewhouse.